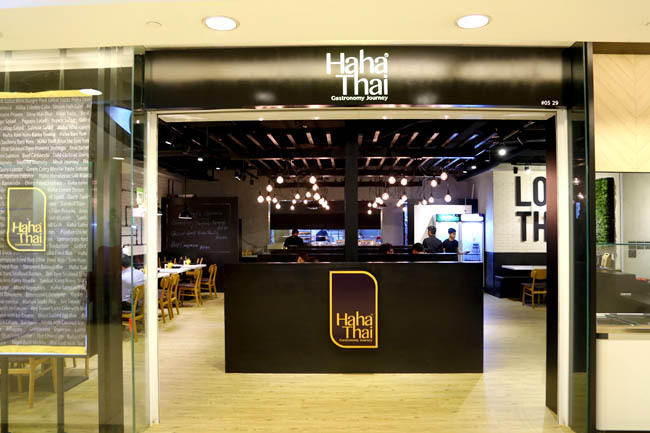 “You are very brave,” I told owner Serene Teo of Haha Thai when they chose to move their family-owned Thai restaurant (previously known as Hahaha Seafood Restaurant) from Foch Road to Ngee Ann City. The rental alone would be no joke. By the way, Haha Thai took its name from the number 5 (which is pronounced ‘ha’ in Thai) and King Rama V actually known to be a good chef. We made a total of three visits in a span of a week. (I made two, my café correspondent made one.) Because I felt something was quite missing during my first dining experience, and thought I should return to confirm my gut feel. 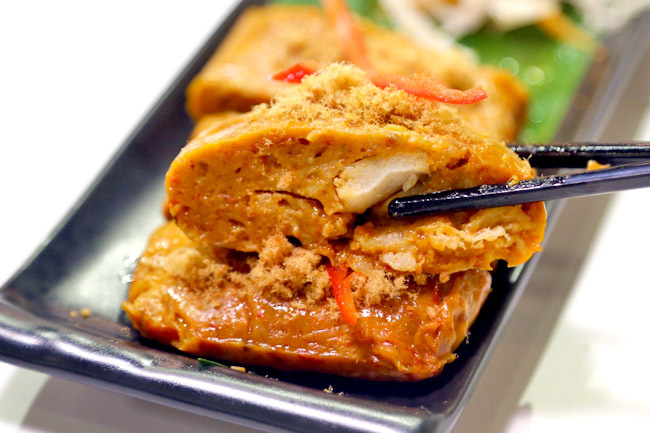 I would love to support a local restaurant that can make its way to Orchard Road, which I feel needs a better range of restaurants rather than the same-old same-old mass market choices. With that said, what worked for Lavender, may not for Orchard, especially when it is on a higher end shopping belt. Seafood dishes at Haha Thai were priced north, so we avoided them (Snow-baked seabass was $49.80) and went along with other recommendations – the Haha Bak Mee ($10.80), Beef Noodle Soup ($10.80), Phad Thai ($10.80), Haha Fried Rice ($11.80 which came in choice of 3 types of flavoured rice), Haha Otah ($8.80) and Boneless Chicken Wings ($12.80). How do I start? There were some good dishes, but they didn’t happen to be their signatures. The Haha Bak Mee ($10.80) which I was recommended twice, supposedly a Southern Thai dish, turned out tasting more like a Chinese-style mee goreng served a coffeeshop zhi char stall. Not that it was bad, it wasn’t impressive either. I would think customers would come expecting more than ordinary. 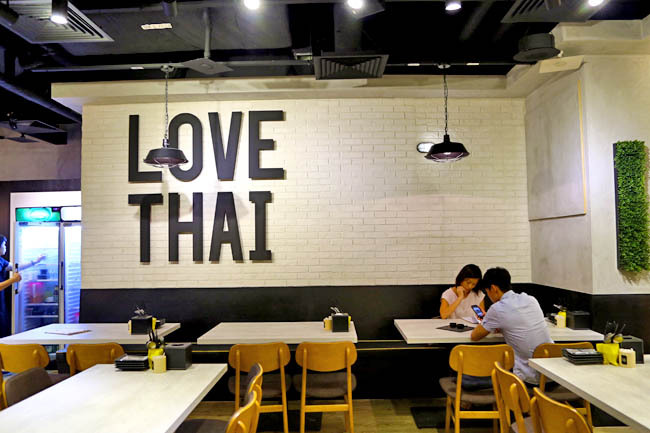 Similarly, the Phad Thai ($10.80) and Beef Noodles ($10.80) bordered on being bland, and lacked those distinct sharp Thai flavours. Additional condiments were nowhere in sight, but we shouldn’t have to require them. We liked the Fried Rice ($11.80) though, where you can choose three types from pineapple, olive, green curry, tom yum, and belachan rice. While the Boneless Chicken Wings ($12.80) scored on succulence, the Haha Otah ($8.80) was a tad ‘floury’ starchy. 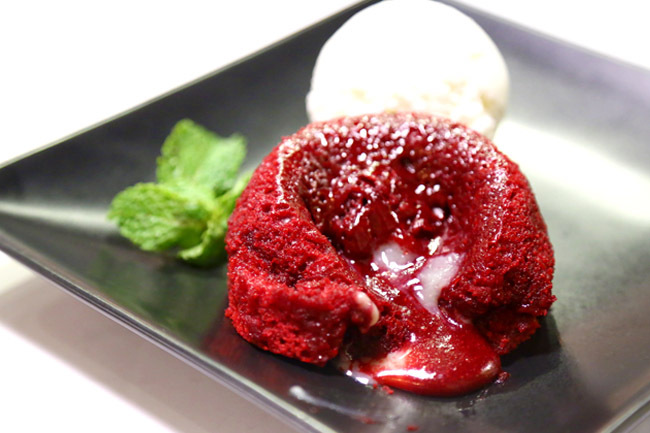 Dessert wise, the Red Velvet Lava Cake with Ice Cream ($10.80) had been making its round on instagram. Being photogenic had its advantages. But it tasted almost the same as what I had from another café, so suspect that this dessert was from the same supplier. 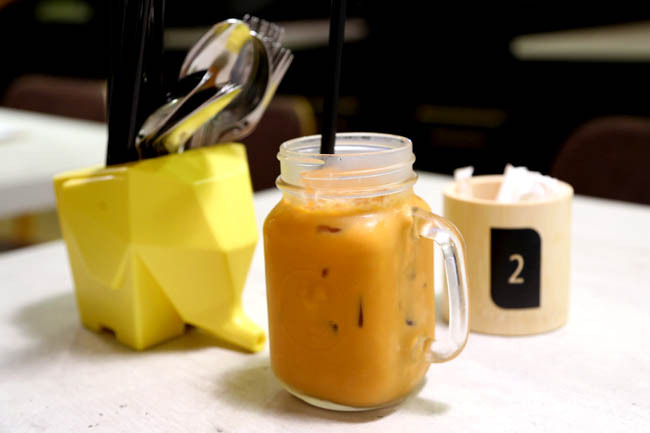 I suggested them to have something more relevant – a Thai milk tea lava cake in future if they could. 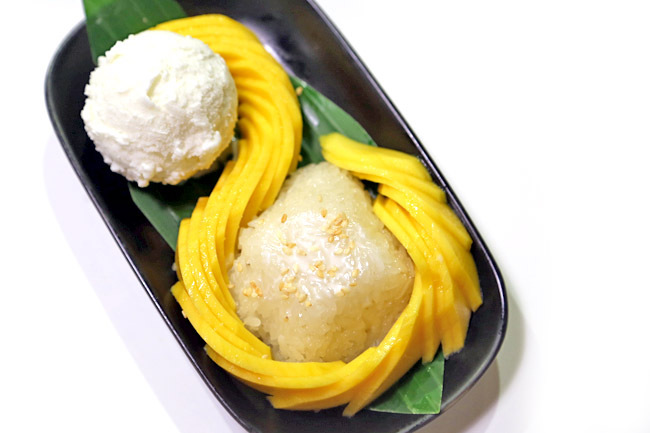 The Mango Sticky Rice with Ice Cream ($11.80) was a work of art, and mangoes fresh and sweet (Yeah, mangoes are in season). Liked the ice cream, but rice could be stickier with a tinge of salt. I cannot speak for everyone. 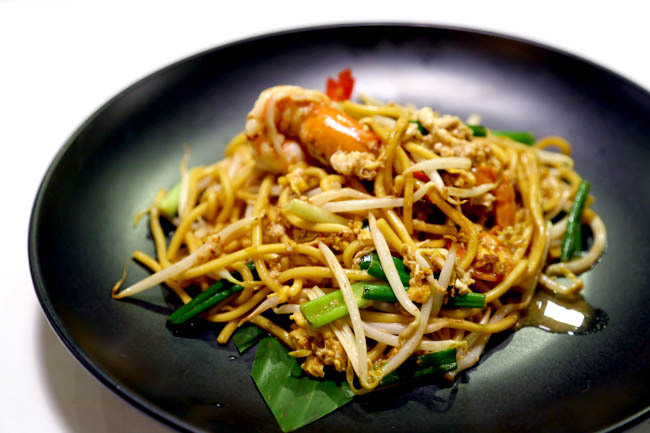 The reason why I like Thai cuisine so much is they are complex, intense, and strongly-flavoured. HaHa Thai is a restaurant I want to support. Some hits, some misses which needed that extra ‘oomph’. 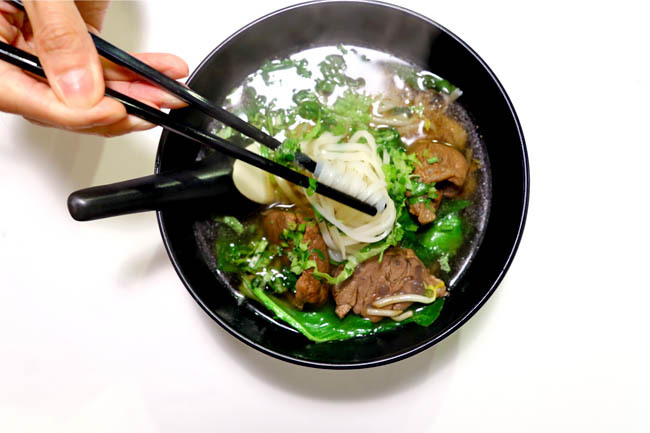 To that extent, the dishes could be bolder, and braver. Thanks for your rrecommendations Daniel . 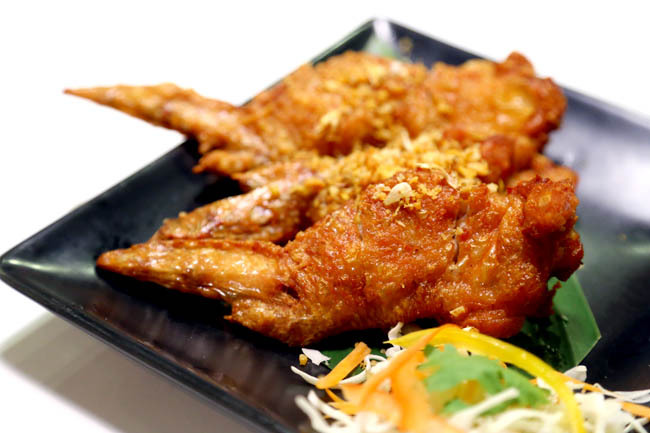 We like the Deboned chickenwings, the pork collar and the green curry fried rice. Great service here. They are currently having an oysters promotion of £13 for uunlimited per pax from 5 to 9pm.